This is a fairly complete guide to connecting the RM pro to Alexa and Google Home. Broadlink took so long to create an official skill that a 3rd party developer created their own trick to make it work by using an Android device to advertise the devices to Alexa. The software that makes this work is called the RM plugin and it still works today if you have an older version of the RM pro (RM2+ and backwards). In my opinion this is still the most versatile way to control the RM pro as it opens up other opportunities for automation. 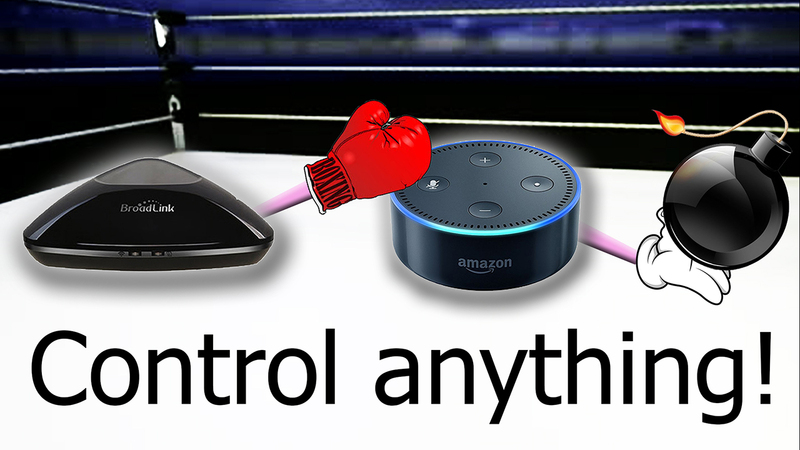 Later on Broadlink decided to have their own go at Alexa control and created an official skill, but they only released it in America. They also made it so it could only control Infrared devices such as TV’s and set top boxes, it can’t control RF. There is now even more confusion because Broadlink recently came up with a way to stop my trick and as of today the official skill can only control Infrared again. Their block only works on the more recent RM pros though so now everyone is trying to find an old one and everyone is super confused about what works and what doesn’t. To make it even MORE confusing the latest RM pros do not work with the original Android method either because the RM plugin software can’t detect the new devices. The RM plugin is the only reliable way of knowing what version of the RM pro you have, if it can’t detect it at all then you probably have the RM pro+ and you’re stuck waiting for Broadlink. If it can detect it then it will tell you what model you have and you may have a way forward with the original method at least, though it may require a firmware change on the RM pro to enable the RM plugin to control it. A simple procedure, but choose the wrong firmware and you will brick the device! Check the FAQ section of the RM plugin and it will advise what firmware to install and how to install it. If you have Google home then the official Broadlink service for Google home can control RF but not IR, so it has the opposite problem to Alexa! There is a way to trick it to control IR however, so Google home is actually the best way to control the RM pro at present! If you convince Alexa you live in the states then Amazon music and the Kindle book store won’t work. They are the only two drawbacks and can easily be reversed by simply undoing the trick. Where can I buy an older model? You can’t 🙁 You can never be certain that the seller won’t assume you want the latest model. The safest thing you can do is wait for all this to blow over. If you want to try anyway then I suggest you ask the seller directly and explain your motivations. Ask if he has any old stock he’s looking to get rid of. My video has caused some confusion and people are looking for a red base RM pro. My red base is simply because my RM pro is ancient and came from a very brief time frame before they changed the design to black and repurposed the red base for the RM home which can’t do RF! You will not find a red based RM pro! If you find a red based design it will more likely be the old RM Home, and YOU DO NOT WANT THAT!!! Do not buy a red base RM pro, you will be disappointed. thanks for the helpful videos. I happened to get an RM pro and have been figuring it out. I actually have a Google Home Mini, but thought it might help. Tmall Genie ); I wonder if they speak English yet…I also don’t know if the Alexa skill is just US/China etc. They also recommended the S1 (thanks again for video): I can’t see how it would help get data out of Broadcom though. Purchased broadlink rm Pro and mini after seeing your videos, downloaded e control app and rm plug in but the rm plug in will not import the codes from the e control app? Any help would be much appreciated. Yo bro like your work ! Thanks mate! You’ll need to add the air conditioner as a TV in order for Alexa to discover it. Alexa can only discover TV’s in the Broadlink app, so you have to trick it. 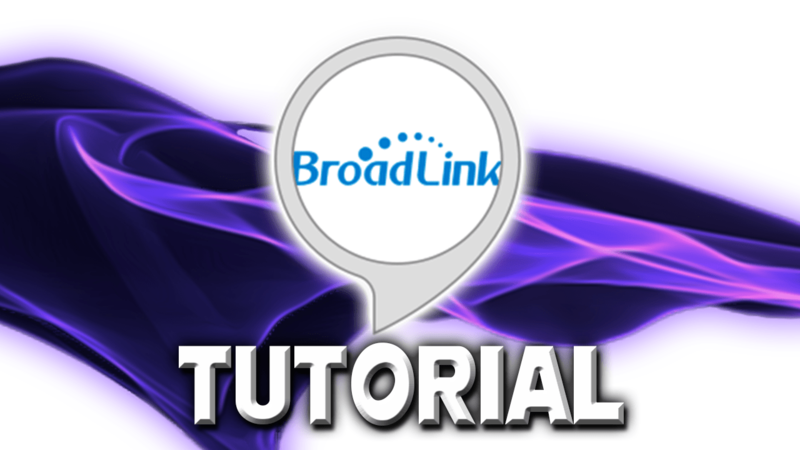 watch the How to control anything with the broadlink skill video. Amazing work around and really want to try it out, but is there a way of doing this if you don’t have an android device? Thanks. Ok cool thank you. I could just get a cheap Android tablet to set up as a Smart Home Hub like you had. Is there a way of k owing before purchasing if the RM Pro will be the correct version? There are so many on eBay and Amazon! Hiya. Always find your videos brilliant. Recently purchased the RM Pro. I’ve tried to set it up following your videos. I’m having an issue. When I press device list in the RM plugin app it says ‘Device is currently not supported” can you help at all? Any advice would be greatly appreciated. Thanks. You could try changing firmware, but be very careful! If you use firmware for a different RM pro version from the one you have then it will brick the device! Brilliant. Il check this out. Great web site. I noticed you have couple of Wav files , can you incoperate them with alexa ? Or how you use them .. I tried to add the skill of the hue and use the user you give in the article, atill thw same problem. With the dot 2 everything was working so great! May be you have any idea whats happening with my alexa? Thank you for all the videos and guides! I will be looking at going back to Vox commando on my PC for controlling the RM plugin I think. The good news is that the official Broadlink skill is supposed to be coming to the UK soon, fingers crossed that it has RF support! I am in us, the broadlink skill is the obe you made a video guide that i need to learn the ihc to control rf in a tv remote? So just purchased an RM Pro last week (as we all are doing) but I bought from Ebay and because it was advertised as the RM Pro2 Great I thought and well it is kinda….. 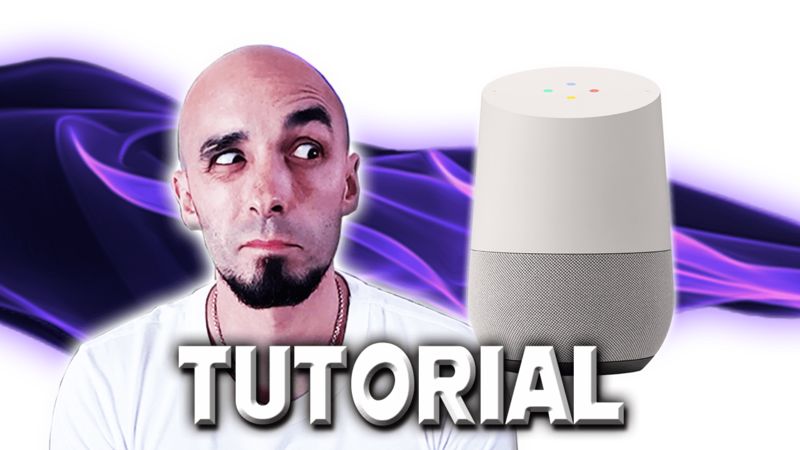 Your videos on broadlink and Google home have helped me a lot. It was the reason I bought the RM3 to begin with. I tore my hair out a few days ago trying to get my Google Home to recognise my RM3 by using 3 different apps/services, which will didn’t work consistently. I came across your recent video about IHC and is so much easier! Can you tell me if the RM3 with Google Home can perform more functions on my TV than just powering on and off? I added the device as “light” like in your video but looks like in only restricted to 4 buttons. Just found your youtube channel and site. very well done. If I only want to be able to control broadlink devices from Voxcommando can I use any broadlink model? Then for Alexa control I would have all commands go through Voxcommando? I’m in Canada but have my Echo setup for a US account at the moment. Unfortunately the only way to get Vox commando to control the RM pro would be through an Android device running the RM plugin. You would set the RM plugin to HTTP bridge and send the requests from Vox commando using HTTP. Unfortunately the latest RM pro’s are not detectable by the RM plugin. The black beans are though, so if you were only interested in Infrared then that would be an option. I’m looking at SOnoff products at the moment as an alternative. I know that Kalle (Vox commando expert on the forums) has hacked the Sonoff stuff to work directly with Vox commando, but another option would be to send HTTP from Vox commando to IFTTT and then get IFTTTT to control the sonoff device. Kalle also makes his own dedicated controller for Vox commando which is unbelievably awesome. Not sure how much he would charge you to build one. Worth asking him via the Vox commando forum. Since my early success with ihc and GA unfortunately it has stopped working, Google’s Home App still see’s the appliances/scenes and most times even states it activating them, but the RM3 sends no commands. The appliances/scenes work fine within the ihc App, I’ve tried: Unlinking ihc account from Google Home App and relinking, all the devices/scenes come back but still no voice integration. How’s your set up have you seen this also or is it just me and any suggestions? This is odd because I heard one other person say the same, but it’s just the two of you I think! I personally only use it for RF via my RM pro, I only set up the Infrared on the blackbean for a one off to make the video so it’s not setup for me to test it and with me working 2 full time jobs I don’t have the time to set it back up 🙁 sorry dude! I’ll keep my ears peeled for other reports, but it sounds like a local issue, but I’ll let you know if I hear from anyone else. Just had a push notification on my rm plugin app saying a new version is out (2.38) in a few days which will support the newer models! I managed to get an old one recently so both of mine are fine but thought people would like to know. If they were working on it, they should have told customers rather than ignore them! Not sure what was happening in his personal life, but he said his business had been undergoing a change. It’s good that it’s working again, but be warned, he’s still working on the gen 2 echo problem. It still doesn’t work on the latest Alexas at present. We’re still not able to support Echo Gen 2 and Echo Plus at the moment. We’re still working on it. You’ll be notified via notifications when new version supporting Echo Gen 2 is released. Interesting and probably true, Amazon must have recruited too many designers from Apple. My RM plugin Alexa devices have stopped being recognise by my echo dot a couple of days ago. Worked flawlessly before. The only thing that could have possibly changed is the Alexa/echo dot end. Hello. Hoping you can help!! Love your vids. I have the rm pro+. i use the ihc app for my tv/receiver. I just got a second Broadlink RM Pro+, can i use this to control a garage door opener? If so how!!?? Thanks mate 🙂 It all depends on whether the garage door signal is encrypted and whether or not it is on the same frequency range as the Broadlink RM pro. I would recommend trying to train it with the remote and see if it works! Use the TV option like in my video and just rename the TV “Garage door”. You may have to use Garage door on and off rather than open closed though 😉 Worth trying both! Hey dude, best advice I can give would be to reserve a static IP in the BT Hub for all devices, most importantly the Blackbean and the phone. I’ve heard that resolves some of these types of issues, though I’ve never experienced them myself! Hello Paul, hope everything is OK. I finally bought a new RM Pro+ from Amazon and in fact is working fine, but there is an IR RCA old remote from my Home Theatre (remote: CRK7AD1) which I haven’t been able to teach to the RM. I wonder if one can entr a code manually or some other method which can solve the problem? Hi Fernando, if Broadlink had the remote in their Econtrol database then you would be able to do this (although it’s a bit awkward to do). Unfortunately I can’t find that remote in their database. Who is the manufacturer? I tried to google CRK7AD1 but couldn’t find anything! CRK76AD1 and is definitely an IR, well, maybe it has become a piece of junk now, I’ve also tried to grasp commands from the universal remote I managed to programe, but my RM Pro+ ignores it all together. A bit late starting but been watching how to connect btoadlink and Alexa, and was wondering if I can use a amazon fire 7 to run the bridge on or would I be better using just an android tablet ? No reason you can’t use an Amazon Fire. You will need to install the play store on it get it to install the RM plugin though if I remember rightly. I might have even installed the RM plugin on a separate device and used apk extractor to get the install done that way! I bought a “2018” RM pro that I thought would work with the official Alexa skill. The Alexa app discovers the “TV” devices setup in IHC but Alex just says “tv is not responding” when I give the command. Does this newest RM pro not support the official Alexa skill? Does this mean the RM Pro+ doesn’t even work with the official skill? Any help would be appreciated. This sounds familiar. I seem to remember having a similar problem and I factory reset the RM pro and it resolved the issue. I had to set all my remotes back up again but it solved it. If you’re in the EU though Alexa is not discovering devices at the minute thanks to this GDPR mess. I’m waiting for Broadlink to update me on their discussions with Google and Amazon. I tried resetting and got the same thing. I did some more research and it looks like there was an app/skill update that made users get the “device is not responding” error response. Have you heard of this happening? There is an issue for EU users following the GDPR implementation, though that issue is with Alexa/Google Home not finding the devices, there is no error message. I’m still waiting on Broadlink to resolve this. I’ve chased them again today for an answer. The fact you get an error message suggests to me you have a different issue. Last time I got that issue I stripped out the RM pro from IHC which deleted all my devices, I then removed the Alexa skill and started over. The issue was then gone. I tried resetting everything and started over completely and now everything works! Alexa recognizes TVs, lamps, and set top boxes! This was shortly after your last reply to me. I saw that you now have a new video talking about how everything works like it should. Thanks for you help and the updates! looking for a way to control firestick on a tv in a care home from smart phone so can put programs on for a relative who can’t do it himself. looks like broadlink pro may be the answer can you advise? Unfortunately Broadlink can’t control the firestick. I think it’s because it’s bluetooth. Do a bit of research on the Harmony hub as I think that can control it. A lot more pricey, and I’m honestly not a fan of it, but it is currently your only option for controlling firestick using a hub and phone approach. I’m confused as to whether the latest iteration of the Broadlink App works with RF controlled plugs or not. I have connected my TV to work with Alexa through my RM Pro+. My problem is that although Alexa can “see” both my TV and my soundbar as devices (through my RM Pro+) She can’t discover my RF Plug which is showing on my ihc app. I set up a scene in the ihc app which contains 2 commands. One to switch on and one to switch off. Do I still need to set my plug up (which my bedroom lamp is plugged into) as a TV as per your video? Hi Paul, update to my message above. Now, I’m really fed up. Tried to set up as a TV as per your instructions but, of course, TV’s don’t use RF so consequently, I can’t program my socket as a TV. Alexa apparently will only recognise TV’s (although she does see my Soundbar!!) And TV’s don’t use RF. Hi Anthony, train the plugs to a “user define” remote in IHC. Then put the User define on button in a scene, and the user define off button in another scene. Alexa will discover both scenes and you can name them whatever you like and therefore call the scenes up using whatever command you choose. I recently bought a Broadlink Black Bean and followed your instructions linking it to my Google Home to control my AV equipment. This was working great. I then went on holiday for a couple of weeks and after coming home I have tried to add some more scenes in order to control more TV channels by voice etc. These new scenes work fine when manually pressed through the IHC app however they are not visible within the Google Home app so therefore don’t work when I use the voice command. All my old scenes are still visible and working fine. It’s like Google Home is not recognising any more scenes from Broadlink. I have tried reinstalling the apps and re-linking them together however any new scenes still fail to be found by Google. Any suggestions at all? After watching your videos on Youtube I wanted to buy a BroadLink device that would be compatible with an Amazon Alexa Echo Dot 2. My problem is that I get confusing info about the compatibility of the BroadLink Rm Pro available on Amazon Canada with Alexa. Since I dont want to buy a device that wont work the way I want it to, I wanted to get some advice about which one to buy. Thx a lot! PS : Sorry for sloppy english. Im a French Canadian XD. GDPR messed broadlinks app up really badly. If you can get access to an android device then there is an android version of IHC on the market place that is intended for the non-EU market. It happens to works everywhere though which is a ridiculous oversight on Broadlink’s part. It isn’t available on IOS sadly, but if you can borrow a droid for 10 minutes you can get all your stuff configured and once it’s in the cloud you can give the droid back. Hopefully by the time you nedlxt come to need to configure something new Broadlink will have sorted out their issues with the IOS app. Be sure to get the android app labelled IHC not the one labelled IHC EU!! Broadlink RM Pro question. I assume you use e-control APP for your Broadlink RMs. I unfortunately used IHC. I found IHC cannot backup so when changing wifi networks with your RM Pro, you have to start from scratch learning all your remotes again! Very painful. If this is true, please tell everyone in your videos that using IHC app will not backup when moving the RM Pro from one network to another. IHC automatically backs up all devices and appliances to the cloud. BUT!… There are two versions of IHC that both connect to different servers, there is “IHC”, and “IHC EU”. They are totally independent and logging into each will show only the devices created using that server. It is also worth noting that IHC EU is partially broken and doesn’t advertise devices to Alexa or Google Home at present, this was intentional on Broadlink’s part as they were trying to ensure they didn’t get sued for breaching GDPR, the break is supposed to be temporary until they have built a GDPR compliant server in the UK but they accidentally fixed the IHC (non-EU version) recently and have left it fixed. Why on earth both apps are available on the Play store is anyone’s guess! So, firstly do you think this is a method that may work if I can find an answer to the network issue. Secondly, any ideas about solving th network issue? I have a number of rm devices and am finding that when setting up rf devices on an rm pro that although the button presses are detected when setting up the broadlink will only option that works is the on button the off button doesnt send a signal when selected no matter how many times I try to set it up. My only thinking is possibly because the on and off use the same button on the lights own remote. Has anyone else come across this and is there a fix/workaround beyond always giving the turn on command even when you want the device off. Sorry for the delay… If it’s a toggle on/off rather than 2 separate buttons with 2 separate frequencies then you’ll want to create 2 routines in the Alexa app, one called “lamp on” that sends the lamp on command to Broadlink, and another routine called “lamp off” that just does exactly the same thing. Then you can say either phrase to send the frequency. It does of course mean that telling a lamp that is already off to turn off will turn it on, but that is a logical limitation of a toggle switch. I originally bought a Broadlink Bean earlier in the year (about June/July at a guess) and, following your instructions and using the non-EU version of ihc set it up fine. I then decided it would be great to be able to control RF so bought a Broadlink RM Pro+ (I know, big mistake!). I can set up everything in ihc but now the Alexa App won’t even see my ihc account, only an account set up using ihc for EU, which of course doesn’t support RF! I have tried creating a new ihc account using a different email address just in case but it won’t see it at all – presumably due to the different ihc versions being on different servers. What have they changed now as I definitely set up the bean using ihc and NOT ihc for EU? The only Alexa skill I can now find is the EU one (although I’m sure I used that one before with the Bean – but it was a while ago!) and I didn’t need to pretend my Amazon account was elsewhere before but this might be the only way of sorting this out. The video is still the latest we have and will give you a good break down of what caused all this nonsense. I also had an update from my contact at Broadlink this morning; He says RF learning will be resolved by the end of the month. In the end I bit the bullet and changed my location. Much easier than I thought and it resolved all the issues for now (as no doubt they will change something else!). These things are just too much fun to play around with! Hey man, sounds like the router is advertising the 2.4Ghz network in a way the Broadlink doesn’t understand. I would go into the routers config pages and just check everything is set up as straight forwards as possible, try changing the SSID name to something simple ensuring that there are no “special” characters like asterisks or underscores in either the SSID or the password. Make sure the auth method is just good old WPA2 and not something ultra modern or weird that it might struggle with. Give the router and phone a reboot, then put the reset pin in the Broadlink for a good solid 30 seconds or so before trying again. Failing that reserve IP addresses in the router for all your devices, and then repeat the above steps. Might be worth doing this anyway as it stop a lot of these weird types of issues. Hello mate, not sure which menu you mean. IS it added to the IHC app and working successfully? Which version of IHC is it? Is it the EU version? If so is it the Broadlink for EU skill you’re using or the is it the global version? The global Alexa skill can’t see the IHC EU app and vice versa, you must use matching locales. Hope that helps! I’m in the US and can’t seem to get the broadlink to detect my Eufy remote. I’m using the ihc app with no success. Any suggestions?? Hey dude, sorry for the delay. I presume it’s the same eufy I used? Which options in IHC are you using to train it? No problem, thanks for getting back to me. It’s the eufy 11. I did user defined then RF and pointed the remote and held the start button down but it never detects it. Thank you! Ok seen as the broad link skill broken. Is it possible to program scenes in to the tasker rm plugin? Hey man, The Eufy 11 is Infrared, not RF. I think I taught the signal to a TV remote ‘s on button and named the TV vacuum. That way I can say to Alexa “Turn the vacuum on”. You could then add the on command to a routine and change the routine command to anything you like, such as “vacuum the house”, or “clean my room”. Hope that helps! Hi Paul, thanks for the excellent info! I have an RM pro+ and echo dot, with IHC plugin installed on my smartphone. There are several ‘scenes’ set up to switch on devices via the RM pro+ IR and RF senders, such as a projector and RF projector screen control. These work fine when using IHC. I also have the broadlink alexa skill running. How do I use voice commands to play scenes on the RM pro? Alexa skill can see the scenes, but when it plays them, nothing happens with the RM pro. Would RM plugin do the trick?? Scenes is a complicated mess right now, it’s working for the global Alexa skill, but not the EU Alexa skill. If you have the global skill then NEVER disable it as you might end up stuck with the EU skill, the only problem with that is that my usual advice for this problem would be to disable and re-enable the skill! You might be stuck waiting for Broadlink to resolve the scenes issue, which they promise on a regular basis is just around the corner. They’ll get there eventually!! I’ve been swapping comments with you regarding the RM Pro/IHC EU app/Alexa farce for some time and it seems that at last progress has been made regarding the EU app. Hooray !! However, I don’t know if my brain has become that frazzled over the past few months of frustration but I now seem incapable of getting everything to work in harmony allowing me to control my TV (as I used to) with my voice. So, I’d be grateful if you’d take a look at where things stand at the moment and point out what the hell I’ve done wrong. I have my TV remote cloned onto the IHC EU app via the RM Pro. The Alexa app successfully discovered my “Television” as a “TV” through the Broadlink skill. Now I would have expected to be able to say, for example, “Alexa, volume up on TV” and for my TV to respond accordingly. But no, Alexa responds with “Television isn’t responding, please check its network connection and power supply” Grrrrrr!!! Needless to say, my TV is powered on and connected perfectly well to my network. Usually that only has one solution which is to remove the skill from Alexa app, remove RM pro from IHC EU and then set it all up from scratch 🙁 Might be worth disabling and re-enabling the skill first though to see if that solves it first! Hi Paul, had a feeling that might be the case. No problem, I’ll give it a go and let you know how I get on. Are the top knob(head)s at Broadlink deliberately trying to drive me insane or are they just incompetent idiots? So, I deleted the TV device from Alexa, I disabled the Broadlink IHC skill, I deleted the RM PRO+ from the IHC EU App. and switched the RM PRO+ off and then on again. I then switched the RM PRO+ back on, connected it to the IHC EU App and reprogrammed the app to my remote control. I then attempted to enable the IHC EU skill. ” We were unable to link BroadLink Smart Home for EU at this time” !!!!! So, yet again I’m sat waiting for them to, hopefully, sort out whatever problem it is they’re currently having. Who knows how long it’ll be before I’ll be able to find out if I can control my TV the way I could months ago before all this crap happened. I’m afraid my frustrations continue. I did as you suggested but unfortunately, nothing has changed. Everything seems to be correct but when I ask Alexa to do anything regarding my TV she still responds with the words “Television isn’t responding, please check its network connection and power supply”. Having persisted with Broadlink for so many months (as it worked so well initially) I am now at the point where I feel I have no alternative than to ditch my RM PRO+ and look at other ways to control my TV. A shame but I see no light at the end of this particular tunnel. Sorry to hear that mate. drop me an email at paul@paulhibbert.co.uk if you want to have another crack at it at any point. It’s easier for me to follow the thread from there and might be able to advise you better. I would first of all recommend checking the firmware for the RM pro and make sure it us using the latest version: In IHC/IHC Eu click your RM pro, then go into the 3 dot menu (top right) then click “property” and then “check for firmware updates”. Failing that try setting a static IP address for each device on your network (most importantly the RM pro). You can do this in the config pages for your router. Every router is different, so if you don’t know how to access those pages then google How to access the config pages for your router manufacturer and model number. Once you access the config pages the option is normally under something like “DHCP settings” or “IP address configuration”. Let me know if you get stuck with this and send me your router’s model number, I will then be able to give you some more specific instructions. With Alexa, My older model rm pro suddenly stoped operating my IR commands but does my RF commands no problem. With Inteligent home app, IR commands and scenes that contain them work just fine. They had an outage around this time. If it;s not automatically started working again then drop me a line @ paul@paulhibbert.co.uk. thanks for the helpful videos. I happened to have several RM pro and losts of other broadlink devices and have been going crazy trying to make it all work . A little history, I used to have everything working on IHC app (US) IOS and some of the lights and stuff working with alexa with the trick of making alexa think the tc2 switches were TVs, something very messy and painful to configure. At some point that stopped working and I didn’t give it too much importance.. I also had a lot of routines and timers setup within IHC app. For some reason after an update of the app, the time changed on all the devices (smart plugs) and the timers went crazy, turning on and off lights at any time..
At some point a few days ago, I’ve decided to start from scratch and reconfigure everything from a clean start. And the nightmare started again..
First things first. After watching your video with instructions on how to do a clean install, I’ve followed the instructions. Borrowed an Android device (I’m an IOS user) performed a clean install of IHC app and Alexa. Installed latest IHC skill and discovered devices. To my surprise Alexa found everything, however the TC2 switches didn’t give any error, but didn’t responded at al (no light turned on or off) as a try, I created a RF light on IHC and using a second RM PRO I configured couple of lights. Rediscover devices in alexa and they were found and worked perfectly !! so I decided to do this witl all the lights. Once done rediscovered devices in alexa and it found them all and worked fine. At that point, swing that I was on the right track, I’ve decided to move forward and finished configuring the remaining devices as a light on IHC and rediscovered everything and so far so good. With much confidence, I decided to configure the remaining 17 TC2 devices add another RM PRO, 2 more SMART PLUGS, 2 RM MINI, and 2 SP1 devices to control the swimming pool and pool lights. Also I’ve configured all the remaining TC2 from the first batch a and the 2 batch as RF lamps on IHC app.. I’ve spent 2 entire days configuring all the devices and remotes for all the TV’s, AC’s and other devices.. everything worked perfect on IHC, I finished organizing the rooms and everything on IHC and once done, went to alexa to find the remaining devices, and to mi surprise, NO NEW DEVICES WERE FOUND, alexa said.. I felt like someone punched me on the face and laughed at me.. with much frustration, I’ve tried everything I can imagine. Rebooted devices (rm’s. Alexa, routers, etc) and rediscover.. nothing new. Disabled skill, logged out IHC, nothing. At this point, I have no clue what to do.. 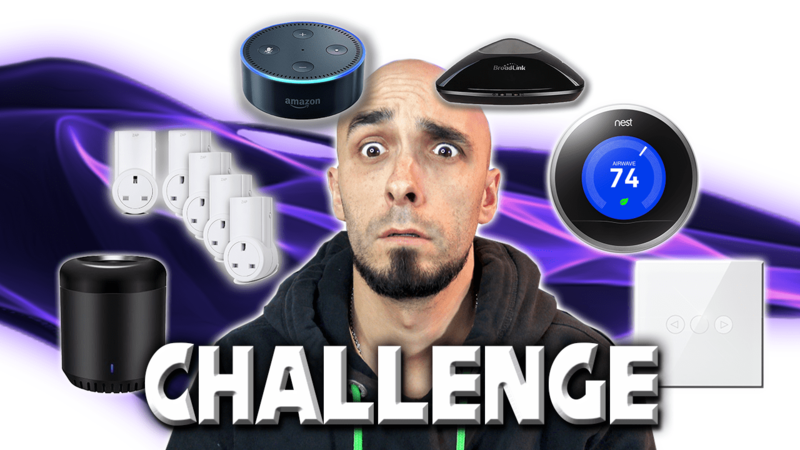 I also deleted some devices from alexa thinking that maybe they’ll be discovered by alexa, but nothing..
All the devices alexa found on the first batch are working perfectly, however I can’t find anything added after the first batc. Please, any solutions or ideas will be greatly appreciated. I don’t want to have to reconfigure everything. It takes literally 2 to 3 days of work to configure and setup everything.. I don’t think I could manage another fail on this..
Hello mate, that’s a VERY weird one!! Wondering if it’s just a coincidence and the first lot you setup were before the outage and the second lot during the outage! If you’re still experiencing the issue can you send me the latest situation (assuming you’ve been beavering away since Sunday) via email to paul@paulhibbert.co.uk and I’ll have a think. Hi Paul, I’ve a new RM pro+ and it see’s my samsung tv fine. Should my dot 2 work with it, it does see it in the alexa app but when i ask it to turn on tv it says can’t find a device with that name. Just wandering if it should work at all or if I should just wait for updates. Hey dude, sounds like a naming issue. Try naming the TV “Television” in IHC, get Alexa to rediscover the device and then try again. If that works try renaming it to T V with a space. Hi! I just got a RM 3 Mini and I’ve been trying to set it up to work with Google Home. I am able to set up my devices and they work through google home correctly. But I am unable to set up any scenes as they do not show on the Google Home app. I create them in the ICH app, and they re-link the broadlink account to Google Home, my devices show up, but scenes do not. I use the standard non-EU version of the ICH app. Hey dude, not sure on this one. As far as I know this functionality is working currently, but you’re the second person I’ve seen today with this issue, so I’m wondering if it’s at Broadlink’s end. I haven’t got my google home set up at the minute to test the theory. I presume the individual lamps show up in Google Home, just not the scenes? I am now 25 hours since I last changed my password and the bugger is still refusing to A) link accounts B) allow a password change. And as far as I can see the the IHC app does not allow you to log on or off or change password the only place is at a failed account link up in Alexa skills set up. Please tell me i’m doing something dumb and the fix is…..
Hi Phil, not heard of that issue before, but I’ve heard of similar problems. If you’re in the EU app then make sure you are using the “IHC EU” app and the “Broadlink Smart Home for EU” skill in Alexa. If you’re in the US then make sure you’re using the non-EU version of both, if you have the EU version of IHC but the non-EU version of the Alexa skill, or vice-versa it could explain that symptom. If that’s not the issue then I would recommend simply starting over with a different email address, Uninstall IHC, and register again. Just bought a rm pro+. Unfortunately i could not get the device to pair with the apps. Hey, sounds like your mobiles is not connected to 2.4Ghz Wifi. If you connect to 5Ghz on your phone then you will see these symptoms. Failing that try specifying an IP address in your routers config for the RM pro and then reboot everything (Router, Phone, RM pro) and try again. Do you know anything about the Broadlink TC2 switch not working in Scenes? I have a TC2-2 that works perfectly when operated directly on the IHC EU app and via Google Home, but never works on Scenes. Hey dude, I don’t use my TC2 anymore, so I’m not sure. I had heard from a follower that TC2 was working with GH now, but he hasn;t said if he’d tried it with scenes or not. Can you not just put them in a “Room” in Google home if you want to operate them together? as a possible alternative – any experience / thoughts? I could be wrong, but I don’t think it works with Alexa! I’ve looked at them before and I didn’t end up getting one because of such a deal breaker, I’m pretty sure that was the reason. Gah! I have an older version RM Pro which was working fine with the android method before I moved (18 months ago – still got stuff to sort out!) now it won’t stay powered on, I’ve tried cleaning out the power port, tried a different power cable to no avail. Can’t find the old version anywhere to purchase understandably…is it still best to wait until everything is sorted? From your description it could be anything, I could do with knowing if you get an error when you try to add the RM mini, and at what point the error occurs? During set up of IHC, or is it further into the process? Take a look at this video first: www.youtube.com/watch?v=Pdjp6ic99S8 All of the fixes are accurate, except for you no longer need to use the non-EU version of IHC. If you are in the EU you MUST use the EU version of IHC so ignore that part of the video. Next PostNext Why you probably don’t need an Nvidia shield.